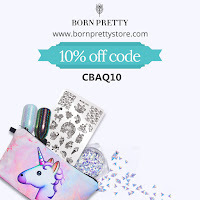 Did you know that Born Pretty Store sell Konad stamping polishes? No? Well, aren't you glad I told you. 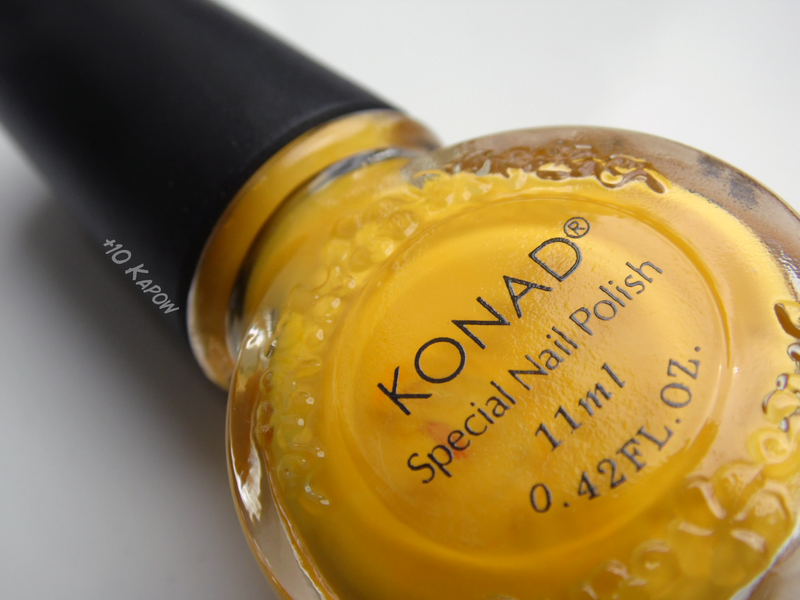 Most of you probably did know though, but today I am having a look at the Konad Yellow stamping polish from Born Pretty. 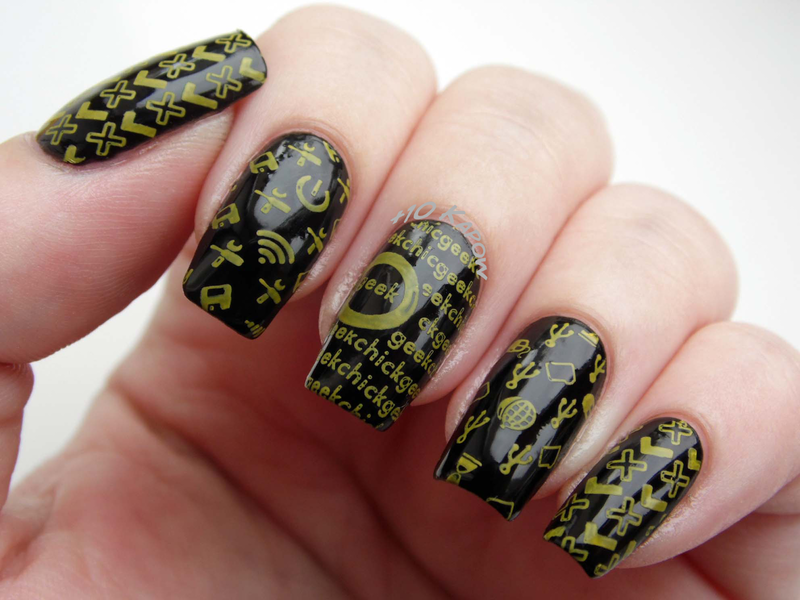 I use Konad Black and White stamping polishes and I love how great they work over both light and dark base colours, if anyone ever asks me for a recommendation I always recommend Konad. 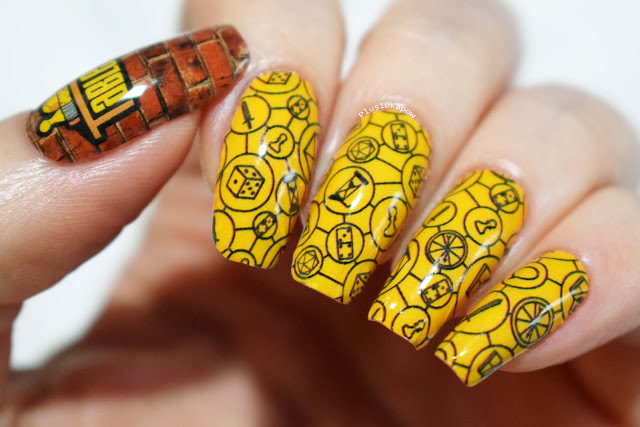 But while Black and White stamping polishes always seem to be spot on, getting other colours to work seems to be the problem based on what I have seen and experienced, so I wanted to try a different, lighter colour and see how that faired in the stamping nail art game. Ok, so over white/cream it works really well. It does look a little more mustardy yellow than it did in the bottle but the polish stamped strong and is opaque all over including in the finickity teeny tiny bits. Lets face it though, loads of regular polishes stamp really well over a white base coat but the real test is over black or darker colours. And this one worked really well. Over the black it looks more like a green toned yellow but you can definitely tell what colour it is and it stands out well against the dark background. 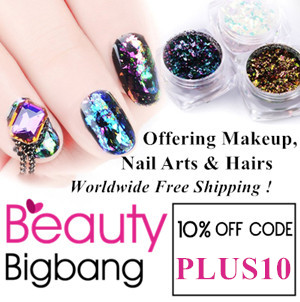 You can see that some bits do look a little patchy which most likely would have been less noticeable over white but all in all this polish is a winner. For the stamped images I used Moyou Geek Plates 04 and 05. 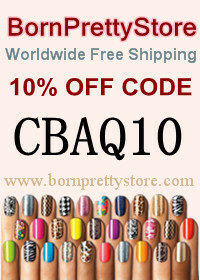 If you would like to purchase the Konad Yellow stamping polish you can find it here for £4.95/$7.59 and if you would like to browse all the Konad stamping polishes then you can do that here and don't forget to use my code CBAQ10 for 10% off when you shop at Born Pretty Store. 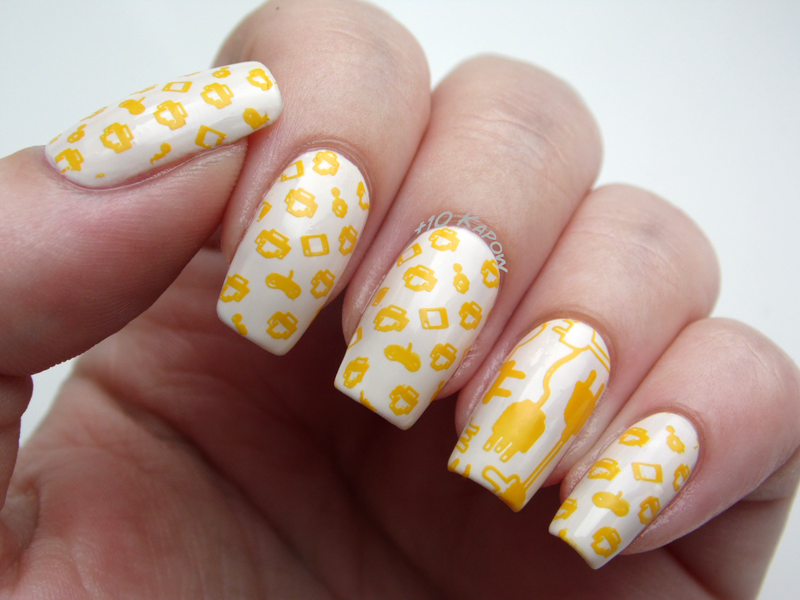 Have you got any favourite stamping polishes?